Hi! 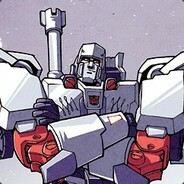 Im Megatron 1698 or as my friends call me Mega or Megs. Happy Valentine's my dearst sister! I'm not sure where in the world I'd be without you and Opti! Happy Valentine's Day, dear big sister/best friend. 💜❤️💛 I thank you for all your time, love, compassion, care and the general happiness you have brought me all these years. Know that no matter what, you've got a little sister who looks up to and loves you very much, always. I just wanted to say thank you. Thank you for being my best friend. Thank you for being my sister. Thank you for being, often times over the years, my tutor and help in certain school subjects. And thank you for being patient and training me in TF2. 💜💛❤️ Thank you for having faith in me and telling me I can. Keep that kind spirit forever.